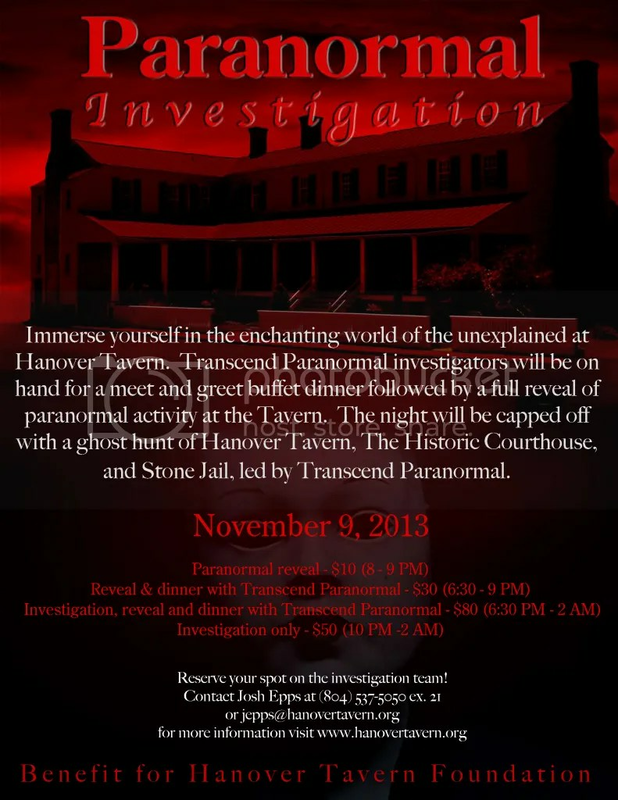 Join Transcend Paranormal once more as we investigate Hanover Tavern, the Historic Courthouse, and Old Stone Jail! We’ll also have a reveal with all of the evidence we’ve collected from all 3 locations! To top it off, you can dine with us in the Tavern after the Reveal! Food, friends, and paranormal investigating – what more could you ask for!